Munir, a native of the West Bank, claims that he was jailed and tortured in Nablus by the Palestinian Authority for more than two years until 2002, following suspicion that he worked as a collaborator of the Israeli Security Agency Shin Bet with his cousin. Although authorities denied that Munir (not his real name) was a collaborator, they granted him a temporary permit to stay in Israel. In 2005, he petitioned the Israeli High Court of Justice for a permanent permit. The court, however, ruled that his temporary permit is the only appropriate remedy he can have. Under this status, he is afforded none of the legal privileges of a permanent resident, other than sanctuary. Munir’s case illustrates the tension between Israel’s concern for low-level Palestinian informers and Palestinians suspected of collaboration with Israel and the difficulties in providing them with residency in Israel. The dire consequences of aiding Israeli security forces are well documented. Last year, Amnesty International released a report showing that Hamas summarily executed at least 23 Palestinians and tortured dozens of others, among them rival Fatah party members, following the 2014 armed conflict with Israel. There are no formal charges, appeal system or legal counsel. Munir’s life was likely saved by the chairman of a special organization called “The Threatened Committee.” Founded in 1999, it was designed specifically to help low-level Palestinian informers and suspected collaborators. While there is a certain pragmatism at work in preventing the deaths of informers, to preserve the flow of intelligence, the work of the Threatened Committee illustrates Israel’s struggle to adhere to democratic values and maintain moral character in times of war. This struggle stems from Israel’s belief that democracy is not only a form of government, but also a commitment to human rights. It conducts its military power and governmental authority—including its power to expel Palestinian informers back to their region—in recognition of the sanctity of life. In many cases, low-level informers are afforded extensive protection, often disproportionate to their security contributions. This commitment to human rights was instilled in us by our greatest leaders, particularly the late Israeli Prime Minister Yitzhak Rabin, whose assassination by an Israeli extremist we mourn this week. In addition to his heroic wartime service in the Israeli Defense Forces, Rabin was a soldier in the army of peace, fighting for the opportunity for Israelis and Palestinians to have a future of peace and security. That legacy is preserved by the Rabin Democracy Fellowship in the Advanced Graduate Studies Program in the Department of Political Science of the Hebrew University of Jerusalem. I am honored to be the inaugural fellow in this program endowed by the U.S.-based Yitzhak Rabin Foundation, allowing me to study and explore issues related to Rabin’s legacy and vision. My research as the first Rabin Democracy Fellow focuses on a later development of the above arrangement since the late 1990s: It examines how Israel’s policy toward “threatened” Palestinians affects their immigration patterns and presence in Israel. Despite the growing number of those allowed to find temporary refuge in Israel, the policy has rarely received attention in academic or public discourse. I have found that the ad hoc policy toward the threatened Palestinians is characterized by formal and informal arrangements, which not only reflect temporary and partial solutions, but in fact lead to a persistent and expanding flow of Palestinians into Israel. Because most of the relevant documents are classified, my research is mainly comprised of more than 500 petitions, filed by Palestinians between 1999 and 2015, to Israel’s High Court of Justice. These petitioners want to be recognized as “threatened” due to suspicion that they have collaborated with a security agency. In addition, my research includes a critical review of the main legislative procedures which relate to this population. My research seeks to fill the void by exploring the phenomenon in a broader context, presenting it as an interesting case study for analyzing the consequences of security decisions on immigration policies. Moreover, the use of informers as part of the war against terrorism is not unique to Israel; it is a global phenomenon. My study will be an important step in understanding the complicated dynamics between security concerns and human rights in democratic states that respect them. 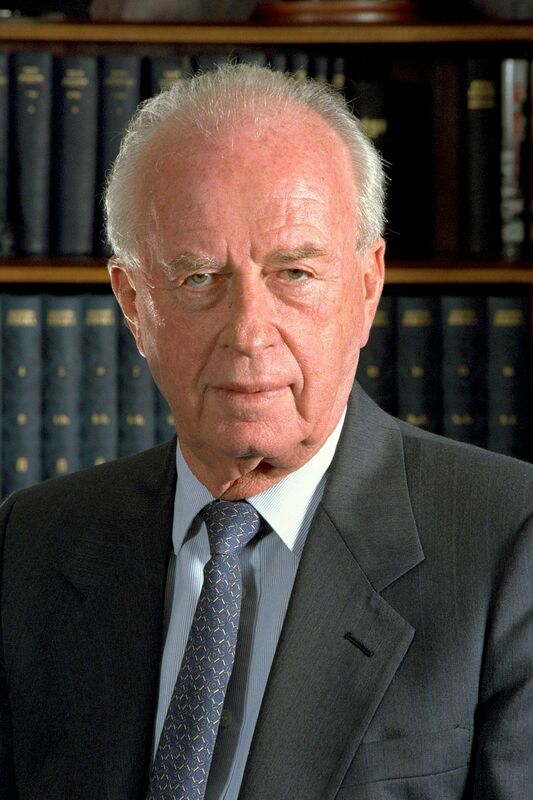 On this 21st anniversary of the assassination of Yitzhak Rabin, and only weeks after the death of his partner Shimon Peres, it is evident that Rabin and Peres’s legacy of combining security concerns with moral values continues to inspire young Israelis and their peers in other democratic countries. Rabin encouraged us to ensure of the essential security needs of Israel first, but to always remember the importance of preserving our values in a complex reality. This requires us to reexamine, explore and critically study our policies and decisions in a developing and complex region. At a time of increased focus on the ramifications of terror, we must examine the intricate relationship between security and democracy in order to help make the best decisions—those that impact not only our political agenda, but also our core values. Ofir Hadad, LLB, is a former captain in the intelligence corps of the Israel Defense Forces and the inaugural Rabin Democracy Fellow in the Advanced Graduate Studies Program at the Hebrew University of Jerusalem’s Department of Political Science.